Closeouts. 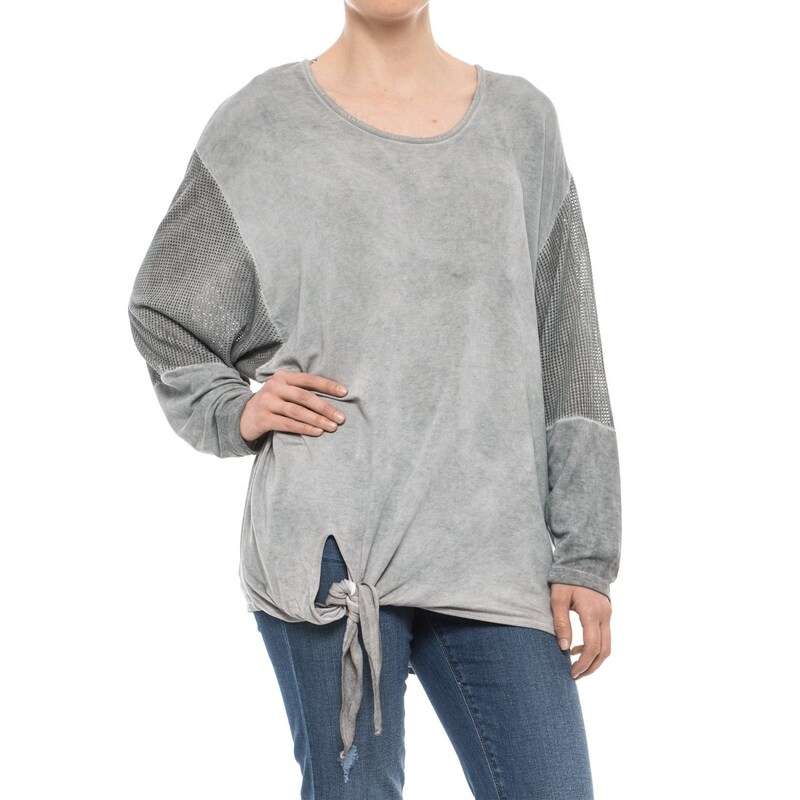 Stylishly slouchy and oh-so comfortable, this XCVI Cyan shirt is made from supersoft, featherlight fabric with lots of drapey stretch and a vintage-washed finish. Mesh panels at the upper sleeves add appealing texture contrast, and cute tie detail at the hem completes the easygoing look.